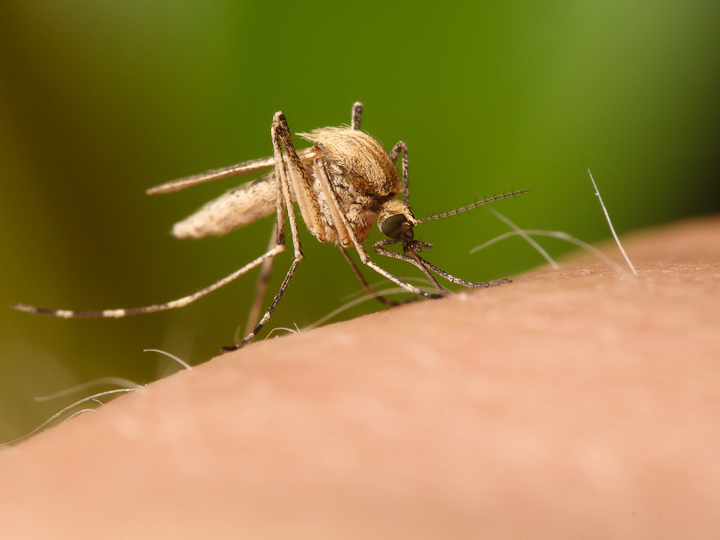 Ochlerotatus dorsalis, a saltmarsh breeding mosquito, is abundant at both McDonald and Iona Beach. This one was particularly persistent and bit readily on my hand. This weekend, Catherine and I made a few quick trips around the area to hit some of our favourite haunts. The weather was nice, but after a long week including a move back to the Lower Mainland, we were not up for major exertion. Here are some of the cool things we saw. 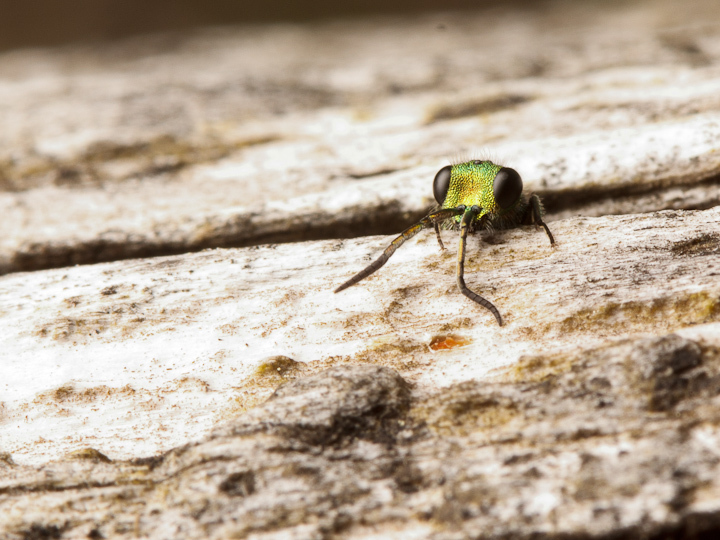 An dew-covered weevil at McDonald Beach. Here is another shot of the Ochlerotatus dorsalis. 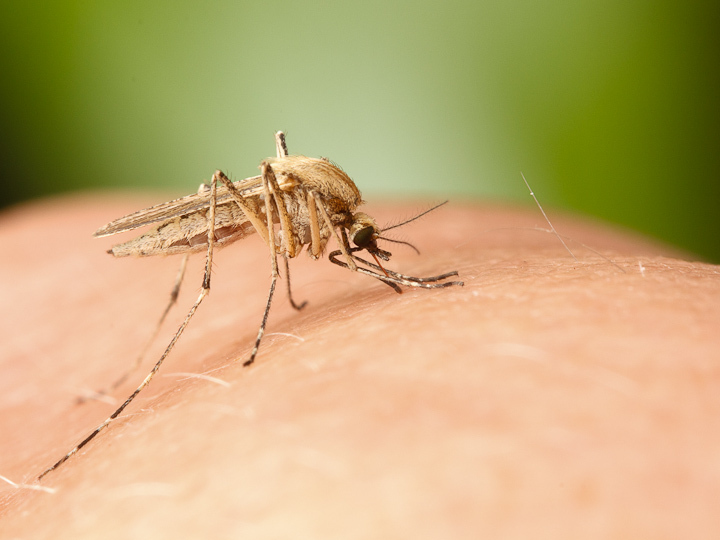 This light-coloured, day-biting mosquito is super-pretty. 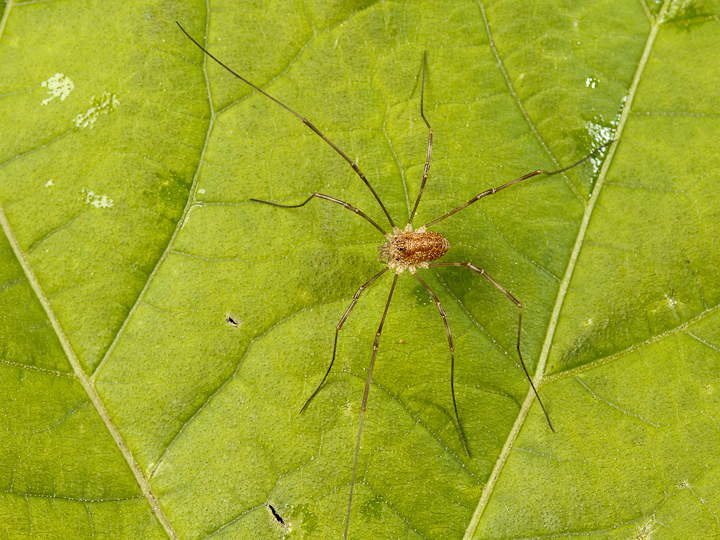 The forest of Pacific Spirit Park was full of harvestmen. They could be found on almost every bush along the trail we walked. 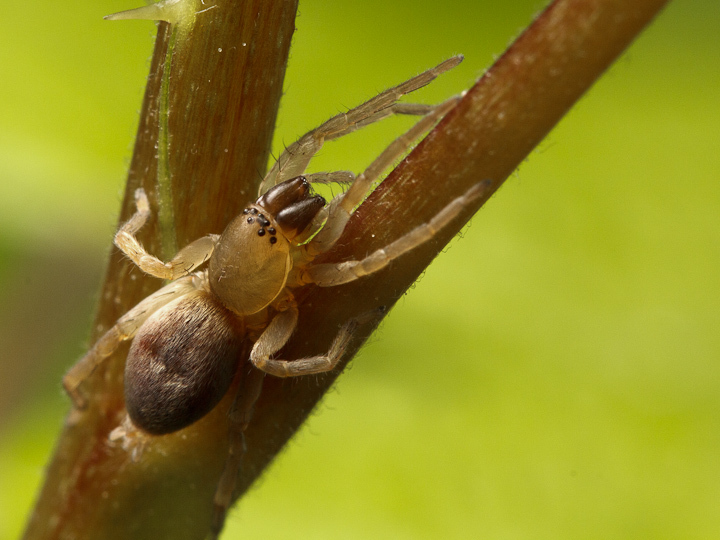 This sac spider posed for at least a few frames before dropping to the ground. 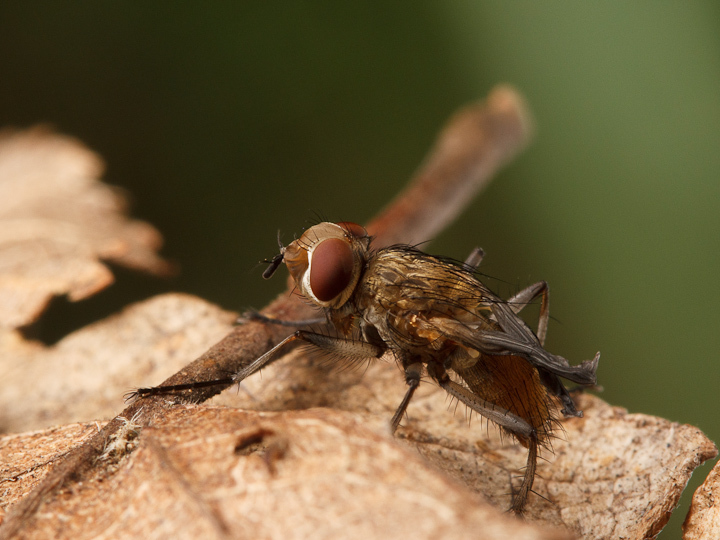 A freshly emerged muscoid fly. 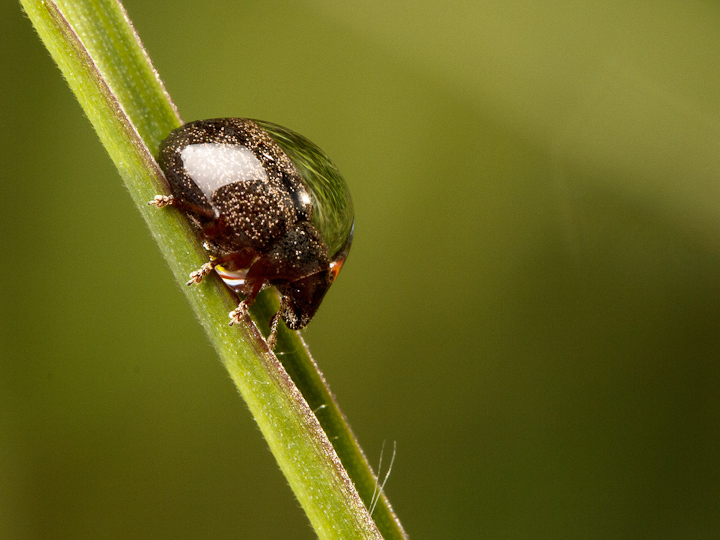 You can see the ptilinum poking out from the front of its face (just above teh antennae), which it used to pop the cap off its puparium. 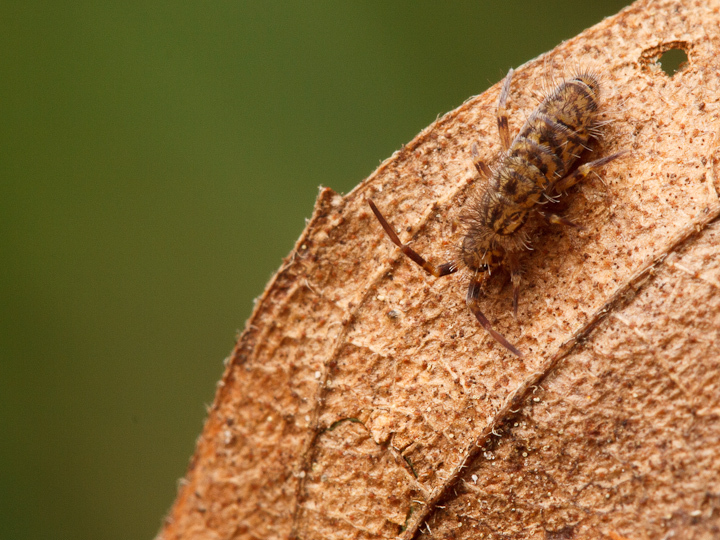 A particularly robust springtail on a fallen leaf. 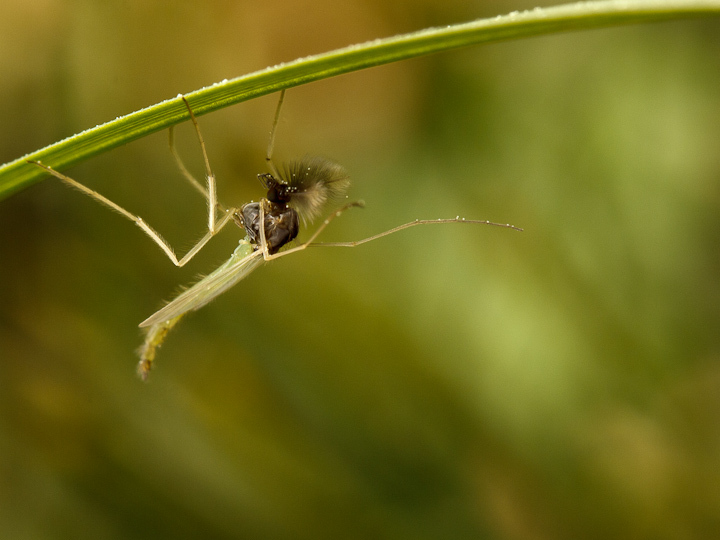 This damsel bug appears to be feeding on some kind of nematoceran fly. 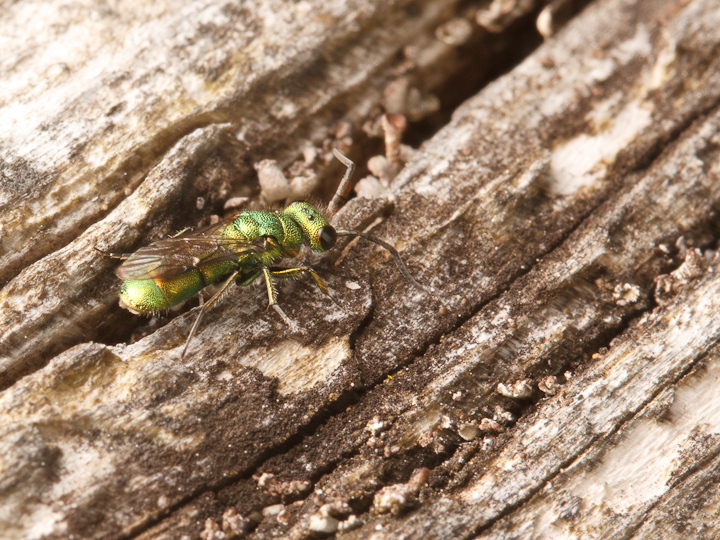 At Iona Beach, there are oodles of non biting midges (Chironomidae) as there are sewage ponds nearby as well as less-polluted man-made ponds. 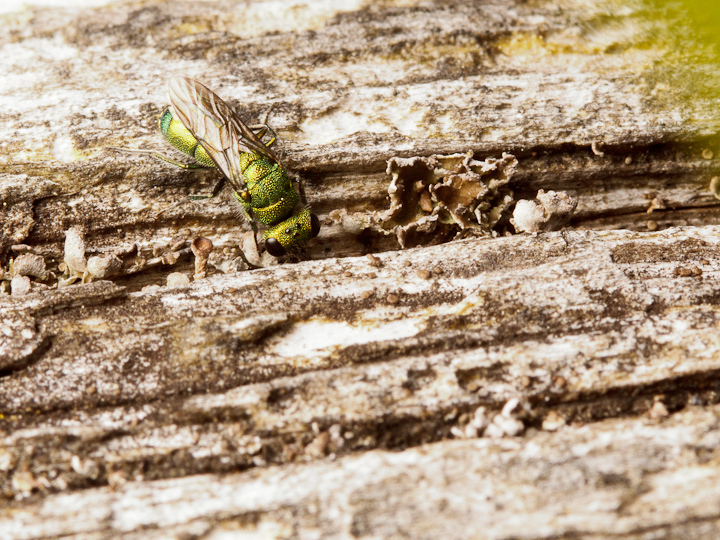 This cuckoo wasp was diligently exploring every nook and cranny in this dead log, looking for a host nest for her eggs. I love the metallic sheen on these. 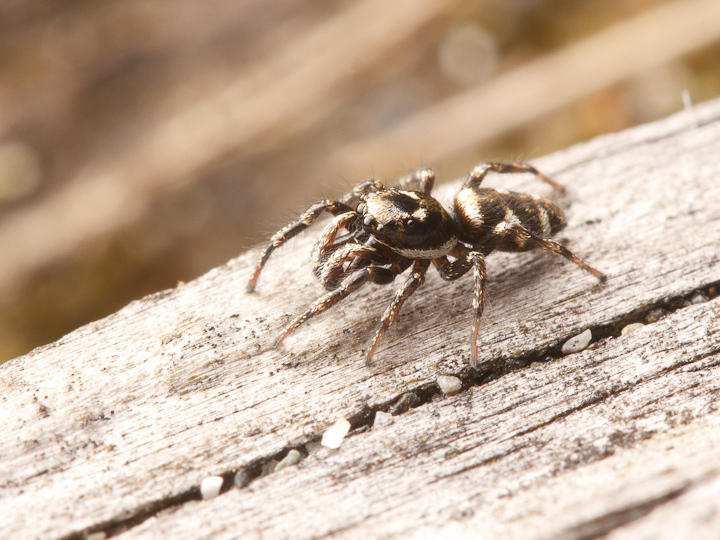 They are also notable for having a very hard exoskeleton, a trait shared with other nest parasites such as velvet ants (Mutillidae). This shot is pretty cute! 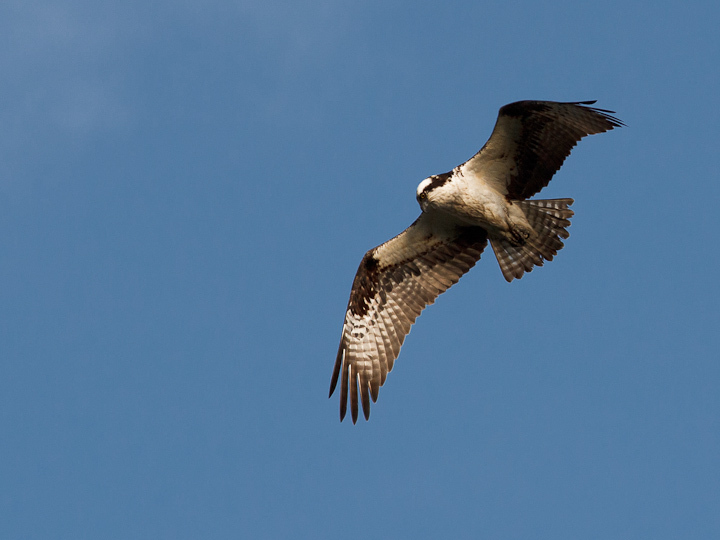 Osprey are always hunting around the ponds at Iona, and this one made several flybys. 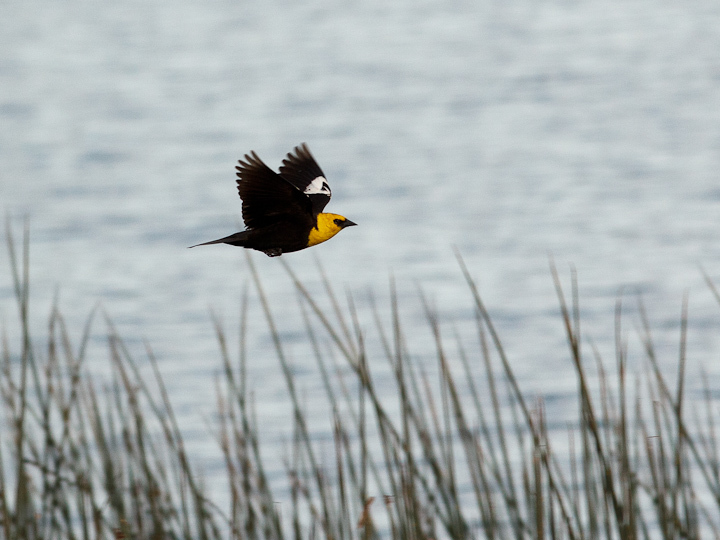 The Yellow headed Blackbird can be found at Iona, one of the only places on the coast where it occurs.